Merchant Services Consulting Group Inc. 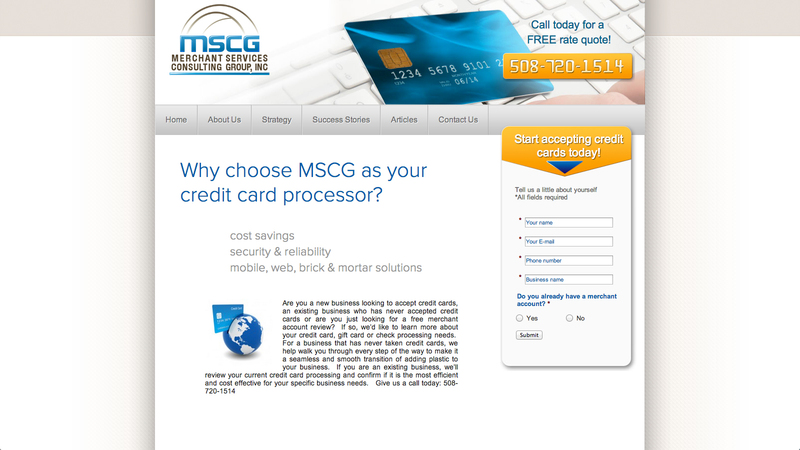 Merchant Services Consulting Group needed a unique website for their northeast branch. The website is designed to gain new merchant accounts through a special search engine optimized system of posting new content to the site regularly. While this is a high competition field, the website has begun to yield business from leads generated purely through the web. Visit this credit card processing service, merchant accounts website.